My piece for the Portland Love Show this year generated a request for a custom consignment by an admirer… What I developed was this. 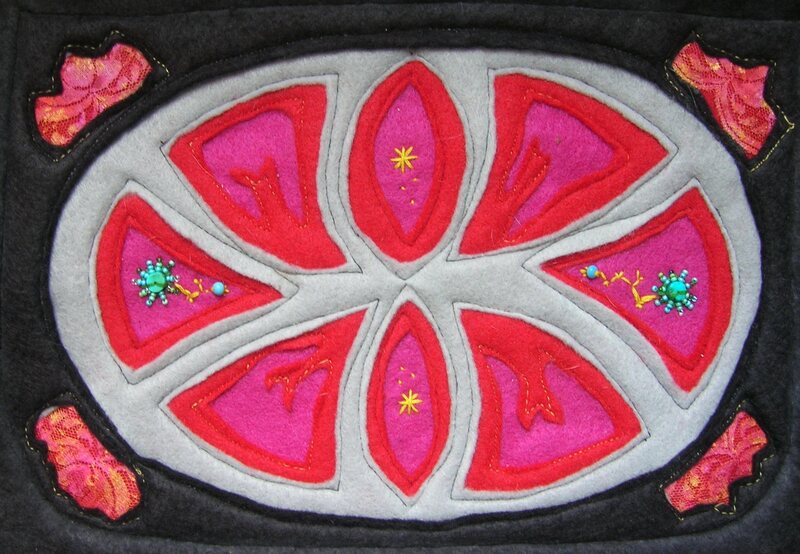 It is an exploration into traditional mola art techniques (layering and cutaway/reverse applique’ techniques) in felt. Fun to make! This entry was posted on July 24, 2010 by laughingnewborn. It was filed under Uncategorized and was tagged with art, fiber art, magenta, mola, patch, sewing.